Washington, D.C. itself is full of attractions, and it's surrounded by dozens of charming destinations, many of which are no further than two and a half hours away by car. Many of these destinations are ideal for families, but they're just as well suited to romantic vacations and corporate retreats. There's something to suit every interest, from beautiful parks and beaches to unique museums to monuments overflowing with historical significance. Designed and built by Thomas Jefferson, Monticello is a former tobacco plantation that was the primary residence of the third President of the United States. Jefferson began working on the home when he was only 26 years old and continued to work on the structure until he passed away in 1826. 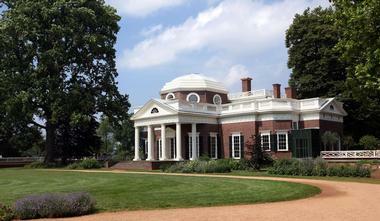 Jefferson’s burial place is on the grounds in an area now known as the Monticello Cemetery. Visitors to Monticello can choose from a number of tours of the house and grounds, including a family-friendly tour, a sunset tour, and a special behind the scenes tour. 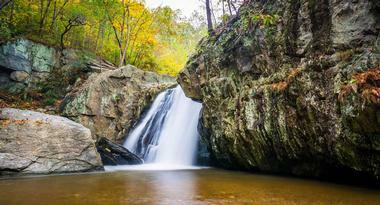 Find other great things to do in Charlottesville. 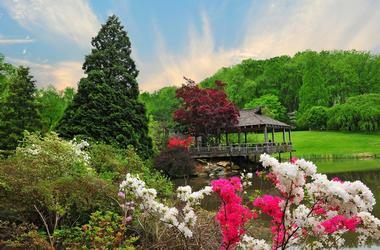 Located inside Wheaton Regional Park, Brookside Gardens is an award-winning public display garden situated on 50 acres of land. There are several distinct areas in the garden, including a butterfly garden, a rose garden, an aquatic garden, and a Japanese style garden. There are also two conservatories on-site, which allow visitors to experience the beauty of the garden year-round. For those who want to expand their knowledge base, a horticultural reference library can be found in the Brookside Visitors Center. The gardens are open from sunrise to sunset every day of the year, and group tours are offered for visitors of all ages. Established as a National Monument in 1961, the Chesapeake & Ohio Canal National Historical Park was created to preserve the neglected remains of the Chesapeake and Ohio Canal. 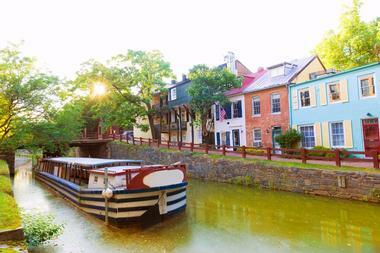 In the mid-1800s, the canal connected the communities along the Potomac River and was used to transport coal, wood, and various other agricultural products. Today, the park offers an 184.5-mile towpath used for biking and hiking as well as a number of campsites that include fire pits, water pumps, picnic areas, and latrines. Seven visitor centers can be found in the park as well, and hours vary according to the season. Located in the Baltimore Inner Harbor, the National Aquarium is a non-profit public aquarium that holds more than 2,200,000 gallons of water and is home to almost 20,000 specimens representing over 750 aquatic species. 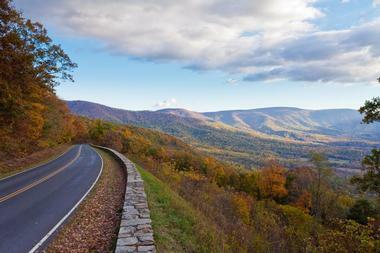 Shenandoah National Park is a long, narrow park that encompasses part of the Blue Ridge mountains. Bordered by the rolling hills of the Virginia Piedmont as well as by the Shenandoah River and Valley, the park is home to a number of waterfalls and offers plenty of opportunities for hiking, picnicking, and backcountry camping. 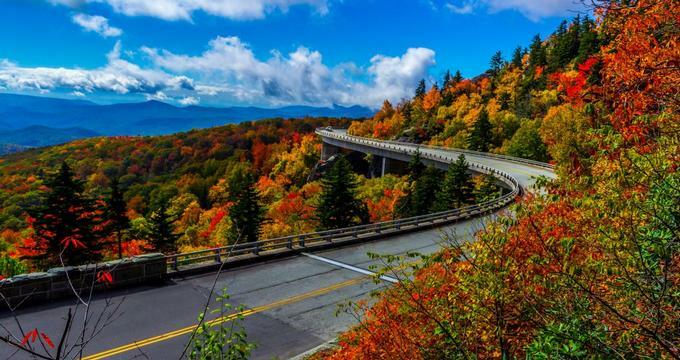 Known for its scenic beauty, the Blue Ridge Parkway is the longest National Parkway in the United States. 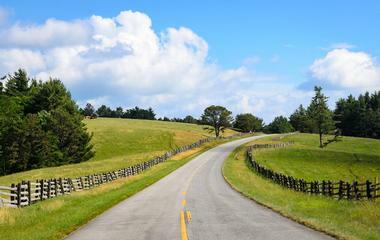 The road was originally constructed to connect Shenandoah National Park to the Great Smoky Mountains National Park, and it runs for 469 miles along the Blue Ridge mountain chain. 14 Visitor Centers are located along the road, but the hours of each vary according to the season. There are also a number of attractions that make good pit stops, including the Craggy Gardens, the Linville Falls, the Humpback Rocks, and the Museum of North Carolina Minerals. 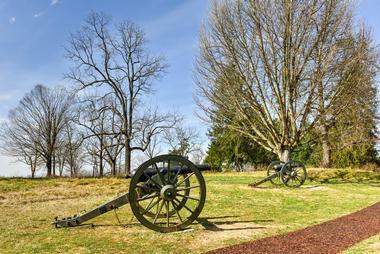 The Fredericksburg & Spotsylvania National Military Park, which was established in 1927, is comprised of the sites of four major Civil War battles: the Battle of Fredericksburg, the Battle of Chancellorsville, the Battle of the Wilderness, and the Battle of Spotsylvania Court House. Admission to all sites is free of charge. 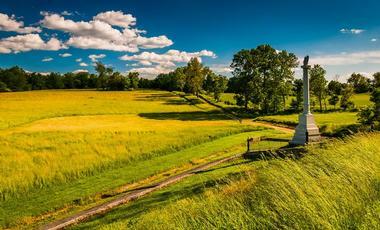 Located along Antietam Creek, Antietam National Battlefield is a National Park Service protected area that was the site of a savage battle during the American Civil War in 1862. The on-site Visitor Center is open year-round, and it contains a number of museum exhibits as well as a theater and a gift shop. Daily interpretive talks are given by park rangers all throughout the year, and during the summer, expanded versions of these talks are offered. Other places of interest around the battlefield include the Antietam National Cemetery, the Pry House Field Hospital, and the Dunker Church. 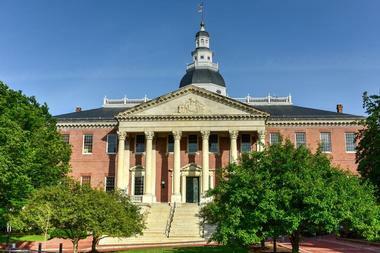 The Maryland State House in Annapolis dates back to 1779, and is the oldest state capitol still in continuous legislative use. Visitors are welcome every day between the hours of 9:00 a.m. and 5:00 p.m, with the exception of Christmas and New Year’s Day when the building is closed. 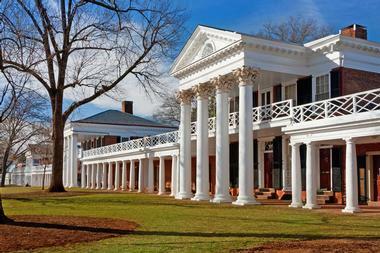 Founded in 1819 by Thomas Jefferson, The University of Virginia was the first college in the United States to be designated a UNESCO World Heritage Site. Volunteer student guides lead regularly scheduled historical tours of the campus several times a day. Established in 1933, Blackwater National Wildlife Refuge is a sanctuary for birds migrating along the route known as the Atlantic Flyway. 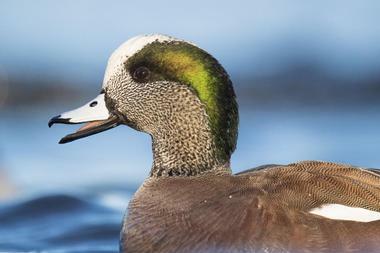 The refuge is spread out over more than 28,000 acres, which include wetlands, freshwater dams, and forests. An on-site Visitor Center features wildlife exhibits, viewing platforms, and an authentic eagle's nest, and regularly offers activities like bird-watching walks and educational programs for children. There are a number of walking trails in the park, and visitors wishing to cycle or drive are welcome to make use of the paved four-mile-long Wildlife Drive that runs along the Blackwater River. 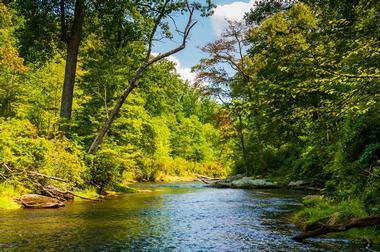 One of the largest state parks in Maryland, Gunpowder Falls State Park is made up of 18,000 acres divided into six areas that encompass a wide range of terrain, including tidal wetlands, rugged slopes, and open land. The park features over 120 miles of multi-use trails, which are commonly used for hiking and horseback riding. A number of other attractions can be found in the park as well, including swimming beaches, an archery range, the site of a former amusement park, and a full-service marina. A number of campsites are available during the summer and are available on a first-come-first-served basis. Formerly known as Carvel Hall, the William Paca House is a historical five-part Georgian mansion that dates back to the 1760s. 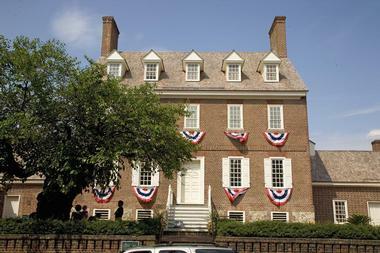 The home is the former residence of William Paca, a Maryland governor known for signing the Declaration of Independence. The home, which has been painstakingly restored to its original state, is situated inside a beautiful 2 acre walled garden. The mansion is decorated with period furnishings and paintings, and the garden includes features like a fish-shaped pond and an old-fashioned outdoor kitchen. Tours of the home and gardens are offered daily, and group tours can be arranged if booked in advance. Located in Baltimore's inner harbor, the Maryland Science Center is one of the oldest scientific institutions in the United States. The museum's three stories feature a number of interactive exhibits and informative displays covering a wide range of topics such as the human body, Earth science, and the marine life of Chesapeake Bay. 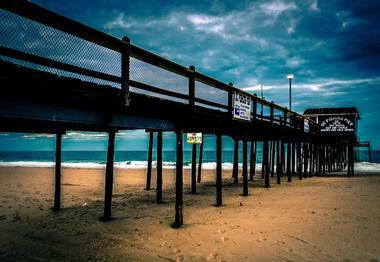 With over 10 miles of sand, Ocean City Beach is a great destination for swimming, sunbathing, and beachcombing. The beach is also known for its excellent waves, making it a popular destination for surfers and boogie boarders. 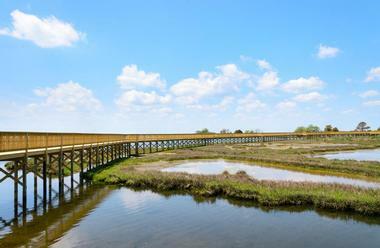 Located on Assateague Island, Assateague State Park is the only oceanfront park in Maryland. The island is known for being home to a number of wild horses, but visitors are advised to not approach the animals and to stay a safe distance away. The park includes two miles of beach, which are ideal for swimming, beachcombing, sunbathing, and surfing. Visitors who wish to leave shore can also explore the bay by canoe or kayak. The park features more than 300 campsites, all of which include a fire pit and a picnic table. Reservations are recommended during the peak summer season. 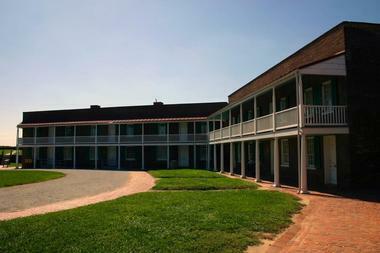 First built in 1798, Fort McHenry National Monument and Historic Shrine is known for its distinctive star shape and for being the birthplace of the American national anthem. Visitors to the fort should start at the Visitor Center, where brief orientation films are shown twice every hour. Touring the fort itself takes approximately one hour, but visitors are advised to allow two hours for the entire experience. Special events are held year-round, including twilight tattoo ceremonies, live music concerts, and a National Flag Day celebration. During the summer, visitors can enjoy daily ranger talks, living history exhibitions, and drill, musket and artillery demonstrations. 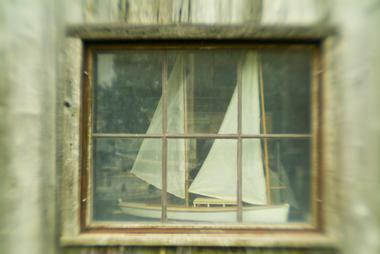 Founded in 1965, the Chesapeake Bay Maritime Museum is home to the largest collection of Chesapeake Bay boats in the world. Located on an 18-acre waterfront lot, the museum includes a floating fleet of historic boats as well as 12 exhibition buildings filled with interactive exhibits designed for the whole family to enjoy. Guests can book scenic river cruises aboard a historic boat built in 1920, and guided walking tours of the museum's exhibitions are also available. A variety of special events and festivals are held at the museum throughout the year, including boat expos and an annual big band night. Composed of 855 acres of forested land in Deer Creek Valley, Rocks State Park is dotted with a number of large boulders that give the park its name. Popular activities in the park include hunting, fishing, and tubing on Deer Creek, and there are also 3.5 miles of scenic hiking trails for visitors to enjoy. Several day use picnic areas offer picnic tables, grills, public washrooms, and children's playground equipment; visitors should note that a small service fee must be paid to use these facilities. Large picnic pavilions can be rented out by large groups for weddings and other special events. Established in 1959 as NASA's first space flight center, the Goddard Space Flight Center is now one of NASA's largest and most important space research laboratories. 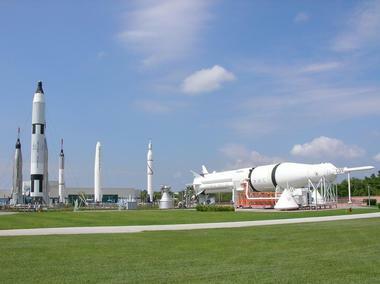 Anyone wishing to learn more about the work being done there can go to the Goddard Visitor Center, which features displays of spacecraft and various other technologies that have been developed at the Goddard Space Flight Center. A variety of special events are held throughout the year, including model rocket launches and science demonstrations for children. Admission to the Visitors Center is free of charge, and hours of operation vary according to the season. 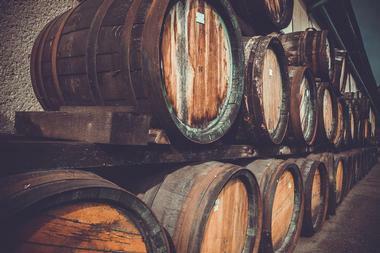 Charlottesville Brewery and Winery Tours is a company that specializes in tours of the local craft breweries, although they also offer tours of the area's best wineries as well. A variety of options are available to suit every budget, but all tours include complimentary snacks and bottled water. In addition, those who opt for an all-inclusive tour will receive complimentary tastings and behind the scenes access. Customizable private tours are available, and the company will also provide a shuttle service for weddings, corporate retreats, and other events. There is no passenger minimum, but buses can hold up to 14 passengers. Established in 1845, the United States Naval Academy is responsible for educating and training officers for both the Navy and the Marine Corps. Visitors are permitted on the campus, but everyone over the age of 18 must present a valid piece of government-issued photo ID. There is a Visitor Center located right inside Gate 1, and it features an interactive exhibit as well as a gift shop. Guided public walking tours of the campus are available all throughout the year, although the frequency and times of the tours vary with the season. Special group tours are available for groups of 16 people or more. 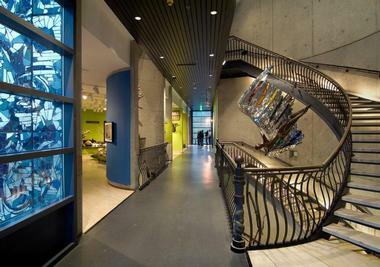 The American Visionary Art Museum specializes in the preservation and exhibition of 'outsider art,' and has been designated by Congress as America's national museum for self-taught art. The museum's permanent collection consists of approximately 4,000 pieces, and it regularly hosts themed temporary exhibitions as well. The main building contains three floors of exhibition space, and other highlights on the campus include a Tall Sculpture Barn, a Wildflower Garden, a gift shop, and a restaurant. Food, drinks, and backpacks are not permitted in the museum, and visitors must refrain from taking photographs. 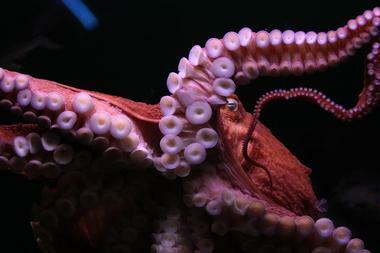 Reduced admission rates are available for groups. Made up of 22 acres of beautifully landscaped lawns and ornamental gardens, Ladew Topiary Gardens was named one of the "10 incredible topiary gardens around the world" by Architectural Digest. 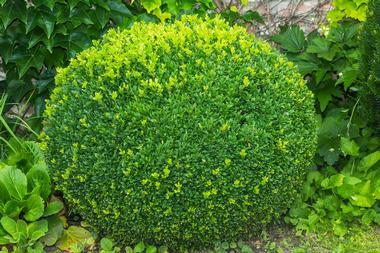 There are more than 100 topiaries (trimmed and shaped ornamental plants) on the property, as well as a number of beautiful garden rooms. Other highlights include a seasonal butterfly house, a historic manor home, and a beautiful 1.5 mile nature walk. Tours of the grounds and gardens are available, but visitors are also permitted to enjoy a self-guided tour. 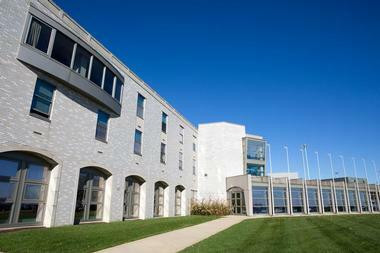 Events are held year-round, including educational lectures, craft nights, and summertime concerts. 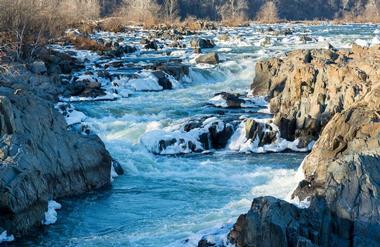 Known for both its beauty and its historical significance, the Potomac River forms part of the border between Maryland and Washington. The river runs directly through Washington, and its location in a part of the country with such historical importance has led to it being commonly known as "the Nation's River." There are many historical sights along the river, but one of the most important is Mount Vernon, the former home of President George Washington. The Potomac river is approximately 405 miles long in total, and there are a number of companies that offer boat tours and cruises.